One summer, a friend of mine planned a river trip. The closest public airport was a day and a half’s drive from the river. So my friend decided to hire a private plane to get his group to the destination in a few hours. I know this choice sounds extravagant, but it represents a choice we’ve probably all experienced at some point. My friend had the money, but he didn’t have the time. For him, time had become a supervaluable commodity, and saving a day and half was worth the price of the private plane. We make a similar decision, for example, when we spend more to book a faster direct flight or pay for overnight delivery. At these moments, we’ve made the decision that our time is worth more than our money. In other situations, money will matter more. Maybe we’re saving to buy a home or pay down our college debt. So we take the cheaper flight that takes twice as long or wait two weeks for our package to arrive. At these moments, we’ve made the decision that our money is worth more than our time. Every day, we make exchanges between money and time. We exchange time for money in the form of work. We then exchange our money for things that represent time, like bread. We want toast and sandwiches, but we value our time more than the time needed to bake a loaf. So we hand over the money and go back to work to exchange our time for more money. Throughout our lives, the pendulum will swing back and forth. For instance, I have a friend who stays at the same hotel every time she’s in town. It’s more expensive than other options, but the location is so convenient that she saves time going back and forth to meetings. On the flip side, she drives 45 minutes to shop at a cheaper grocery store. She’s done the math, and even when gas is included, she’s still saving money. For her, that 45 minutes in the car is worth less than the money she saves on food. This exchange tends to happen more frequently as we get older. We still need money, but we often start to value time more. We care about time spent with family. We care about time spent with friends. We care about time spent doing the things we love. So we hand over the money and count ourselves lucky. We have the money that gives us the time with the people we care about, doing the things we love. 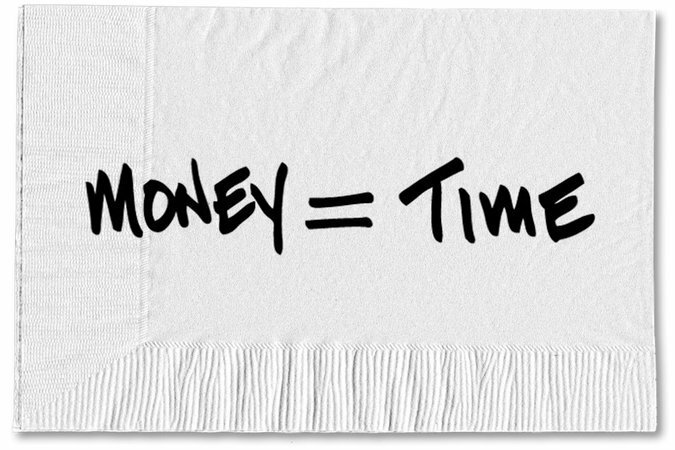 When and how we exchange time for money, or money for time, is incredibly personal. The decision doesn’t fit neatly into some formula. Instead of assuming there’s a right or a wrong answer, we need to put the exchange in the context of what’s right for us right now. Some days, money will matter more. But other days, we’ll consider the money well spent for the time it buys us. That’s the way it should be. 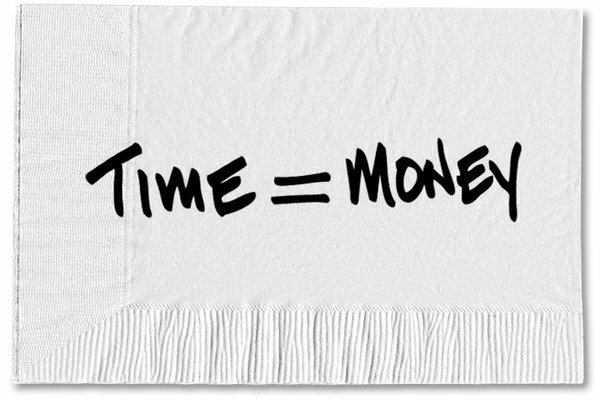 0 responses on "Featured Blog: Finding the Right Balance of Time and Money"